"girls only", it is also perfect for "couples" showers. 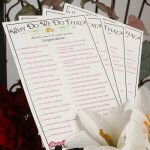 Your party can be casually simple, or simply elegant, depending on the mood you set. So, let's start brainstorming for this special event. You may want to begin your plans by looking at a book on wines. If you aren't already familiar, then learn the different types. You may also find "How To" information on setting up a wine tasting party. A home, restaurant, or hall are all possible locations to create this theme. Weather permitting, using an outside site is a great bridal shower wine and cheese party theme idea. *** Having your party at a vineyard is the ideal location as the staff would be trained in accommodating your guest's tastes. 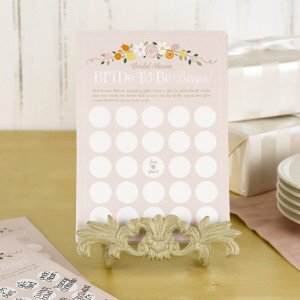 Whether you buy or make your own invitations, there are several ways to go. You can choose a simple design, such as grapes, or a loaf of bread. How about a bottle design with custom wine labels stating the guests name? Perhaps you're going to base the party around a country. Choose a scene of France or Italy. 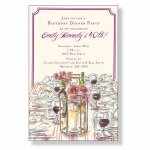 Your bridal shower wine and cheese party theme invitations should give your guests a taste of good things to come. 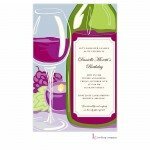 How Will You Create A Bridal Shower Wine And Cheese Party Theme? 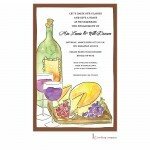 Base your decorations on the kind of look you'd like your bridal shower wine and cheese party theme to have... a French cafe, an Italian restaurant, a California vineyard. Then make that picture come to life. • Signs with the name of a winery or region. • Flag of the country you've chosen. One large, or several small, placed around the room. • Create a small cafe setting with two chairs and a table. 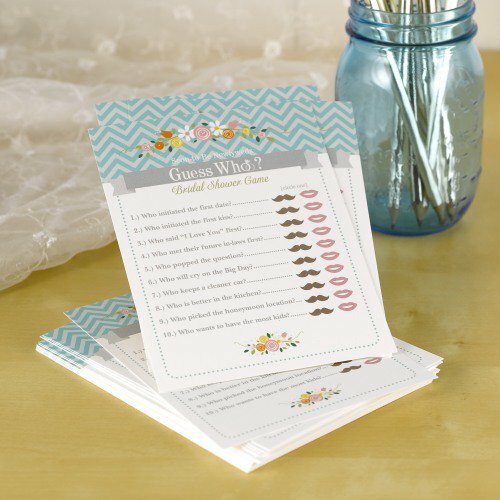 A bridal shower wine and cheese party theme has built-in entertainment, but you may want to add some games. Vineyard Menu: Wine and cheese, of course. Everyone's taste will be different, so have a variety of each. Wines vary from light and fruity, to crisp and dry. Cheese can be soft, hard, creamy, mild or sharp. • Wine: If possible, set up several stations where guests can try individual wines. Start with the lightest and go to the heaviest. Wine labels will help in your decisions. Two wine glasses (or cups) per person are recommended. This allows one for red and one for white wine. 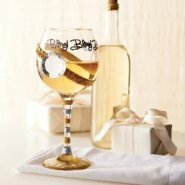 You may also choose to use wine charms, so guests can identify their own drinks without a problem. *** Remember to have some nonalcoholic beverages available. • Cheese: Have an assortment. It should be served at room temperature. Allow to sit out in advance, but keep covered until the party starts. Ideally, each cheese should be served from a separate tray using a separate knife. Having cards set out, with the name of the cheese and a description, will be of help to your guests. As with the wine, cheese can be set out to progress from mild and light, to sharp and heavy. That's just a suggestion. You may be using just one buffet table. Make your display pleasing to the eye. Normally, the music for a bridal shower wine and cheese party theme would be understated, with soft tunes playing in the background. This is also a celebration, so depending on your group, you may want to have some dance music ready.